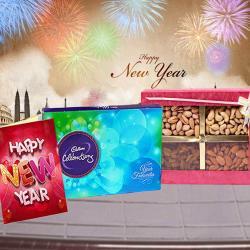 Product Consists : Cadbury Celebration Chocolate in a Box (Weight 118 : gms), 1/2 Kg Round Shape Chocolate Truffle Cake along with New Year Greeting Card. 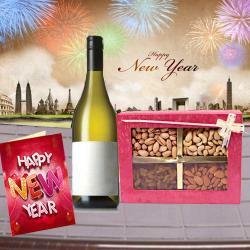 Classy and full of happiness, this ultimate hamper is a sure thing to bring happiness in lives of your dear ones on New Year. 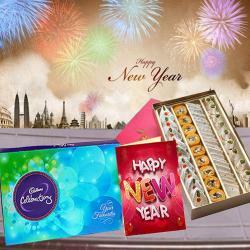 It consists of a fabulous chocolates Box with divine chocolates from Cadbury celebrations, a lip smacking chocolate truffle flavored Cake of half Kg and a beautiful greeting Card for lovely New Year wishes. 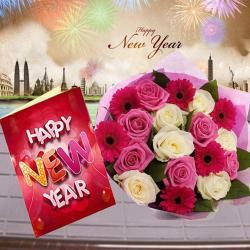 Gift your loved ones a Box full of joy on New Year by ordering this alluring gift hamper from Giftacrossindia.com and show them how much you care. 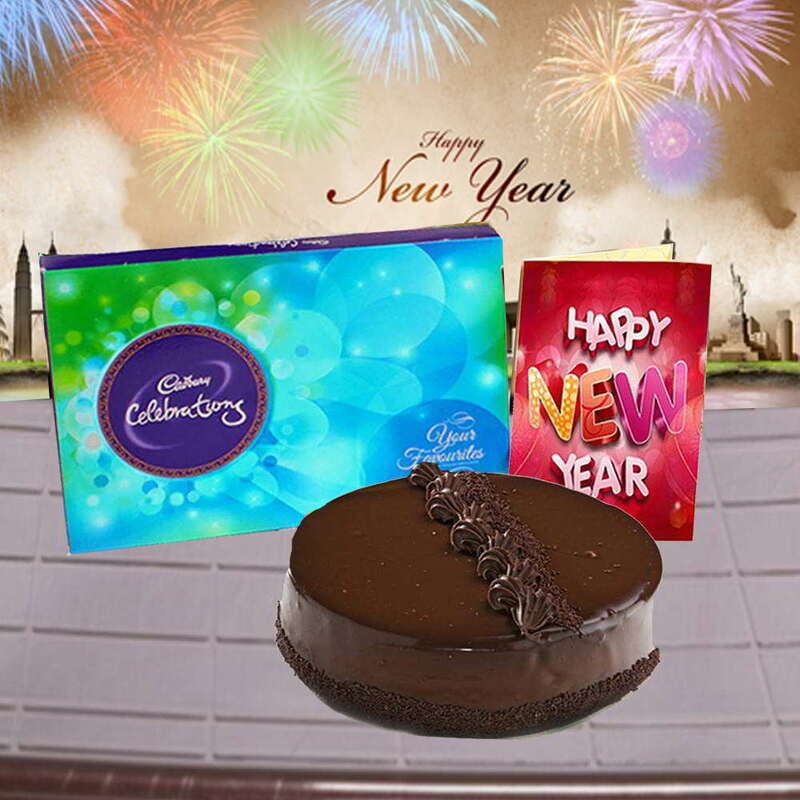 Product Consists : Cadbury Celebration Chocolate in a Box (Weight 118 : gms), 1/2 Kg Round Shape Chocolate Truffle Cake along with New Year Greeting Card.